I visited my second Mini Maker Faire on Saturday. 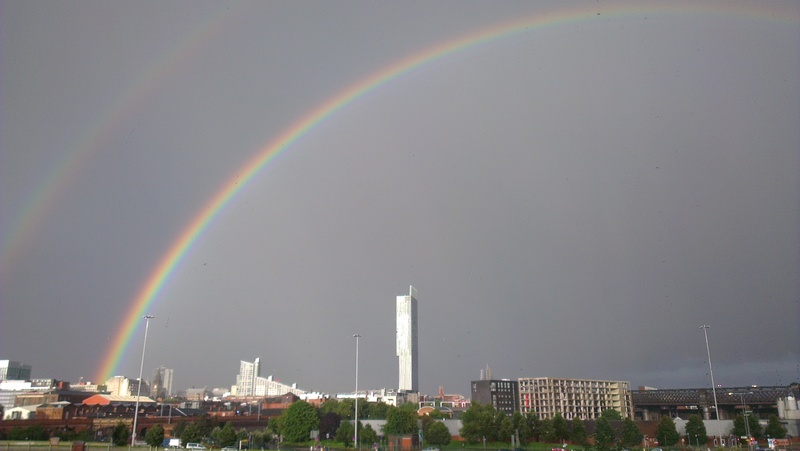 This time it was at the Museum of Science and Industry in Manchester. I didn’t get to see the Faire in its entirity because we were knackered after a day walking around the city but here a few of the highlights. 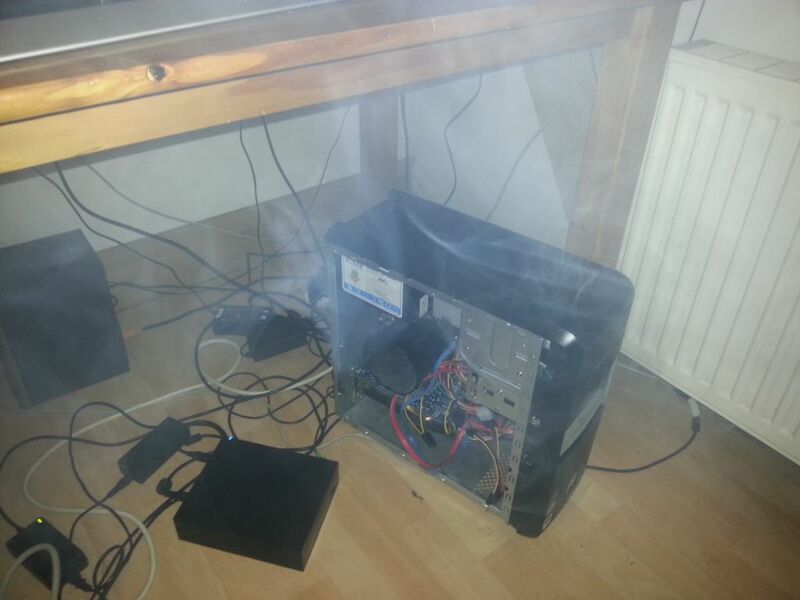 This used to be a G5 Mac. It’s now an internet enabled fish tank. The tank can be controlled either over the web or by an iOS app. The bubbles can be increased or stopped, the lights turned up or down. You can write messages and have them displayed on the board. The board is behind the tank in case you wondered! 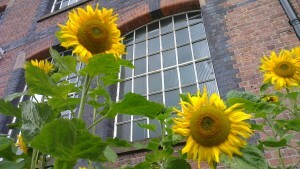 I love sunflowers and there were several raised beds filled with them just outside the MOSI buildings. 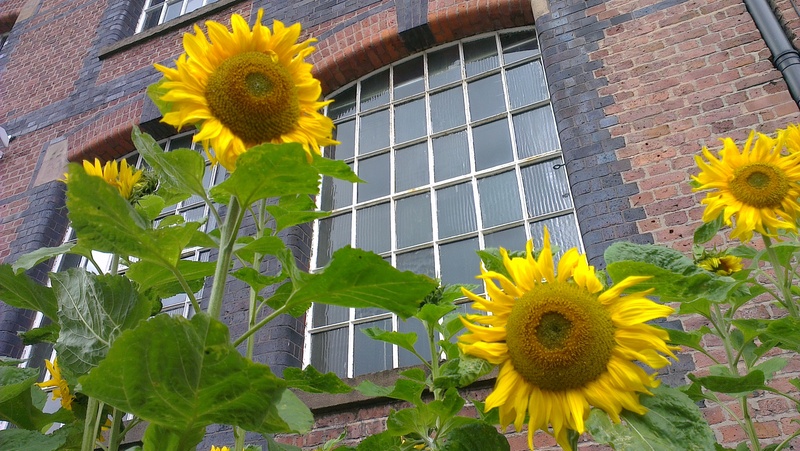 They’re Turing’s Sunflowers named after the codebreaker Alan Turing. He was studying the occurrence of the Fibonacci Sequence in sunflowers trying to find out more about the plants grow but died before he could finish his research. 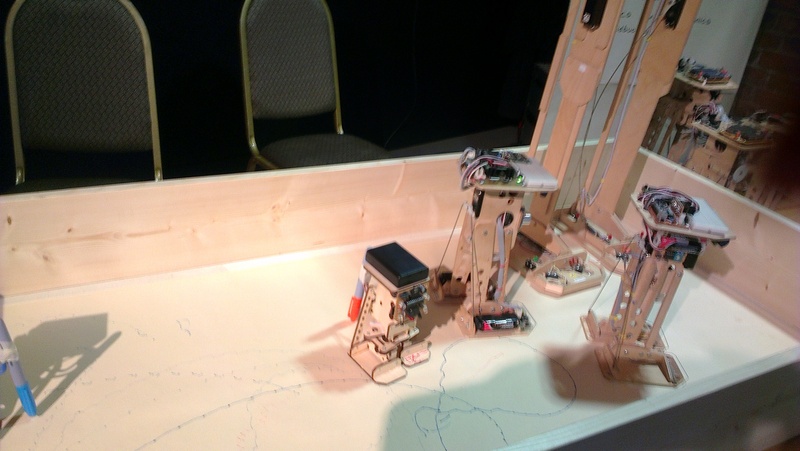 I do love robots and this little plywood walking robot was very cute. There was quite a lot of knitting at the Faire but I didn’t make it over to that section to it as I was too tired. I was shattered! While we were in the city we looked at some of the Pre-Raphaelites in the Manchester Art Gallery. But before we got to see them we saw these pins on the gallery staircase. While in Cardiff the weather was blisteringly hot, it was a different case in the North of England. But after the rain came this double rainbow. 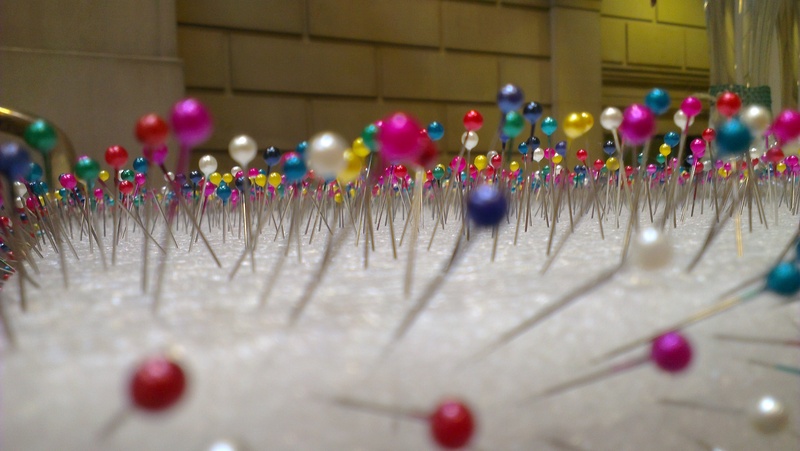 In my last blog I wrote about digital mags. 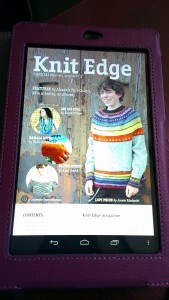 I hadn’t realised that there was a new kid on the block – Knit Edge. It’s from Co-Operative Press and if you’re interested in taking out a subscription the first issue is published in September. My Nexus shows the special Issue 0 which is available to buy now for $3.99. I used to have a lot of magazines. I don’t mean just a few but shelves full of magazine boxes containing copy after copy of film periodicals, sci-fi mags, computer mags and of course crafting titles. Some I flicked through often, others I just stored but they all had one thing in common, they took up space. I got rid of most of the movie and tv mags when I was decluttering and kept the craft mags. But where would I put any new ones? Because I couldn’t just stop buying the odd magazine. 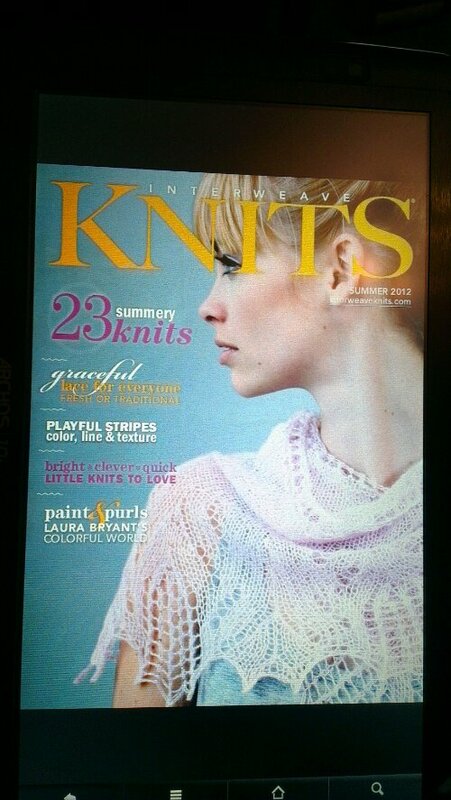 And then I discovered that Interweave sold all of their magazines as downloadable pdfs. I’d been buying pattern pdfs for years so this made perfect sense. You can even buy the first ten years of Interweave Knits as a set. The only thing was, I wanted to subscribe to magazines rather than buying every issue – And then I found Zinio, a digital mag provider. 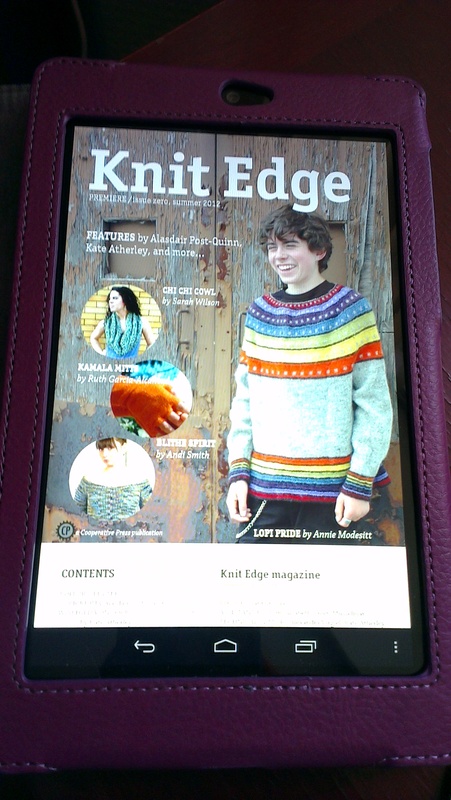 I can now access a whole range of magazines on my android tablet and on the web. You can get $5 off your first Zinio order by using this link. That could just be a single issue of a magazine, it doesn’t have to be a full subscription. Although I’m happy reading articles off a screen I do like to have hard copies of patterns so that I can cross off rows, make notes etc. That’s no problem with a digital mag because you can still print off the relevant pages on your computer. You’re also not damaging the printed pattern. Another thing you can do, although this is just with pdfs rather than Zinio mags, is back them up to cloud storage like Drop Box. Then they’re available across all of your pcs and devices. In this case specifically the Leethal Twitter Mystery Knit. It’s now been unveiled as Orthogonal and the full pattern is available as a free pdf. Yeah, I’m still on the second section although I have switched to another shade of Lamb’s Pride – M62 Amethyst. 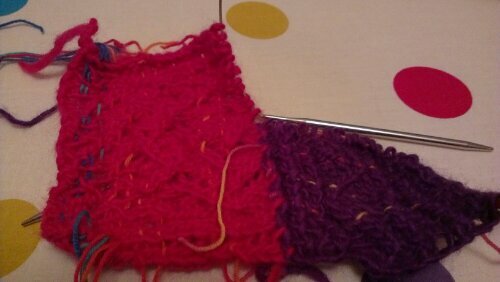 I have knit, frogged back and reknit this an embarrassing amount of times. Let’s just call it a round umpteen. What’s the stumbling block? Well, I’ve commented before about the usefulness of Lifelines in Lace Knitting but my failure to use them has held this project up. It’s also not a project that you can do in front of the tv. You really need to concentrate on what you’re doing. I’m hoping that by the time I finish this section and switch to another it might get a little easier. 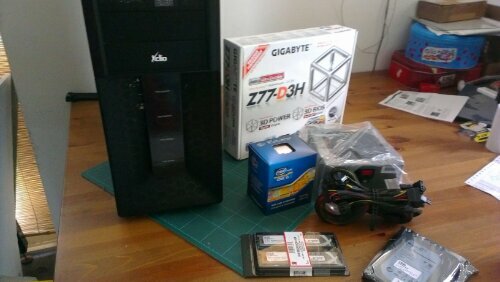 So I built him a new one on Saturday. This is a lot less scary than it looks. 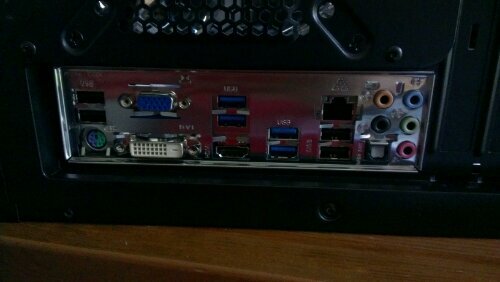 In fact the hardest part of the whole build was getting the damn metal panel that frames the connectors into the PC case. It’s always the worst job. There was no pesky software installation to contend with either as the solid state drive with Windows 7 on it from the burnt PC was undamaged. 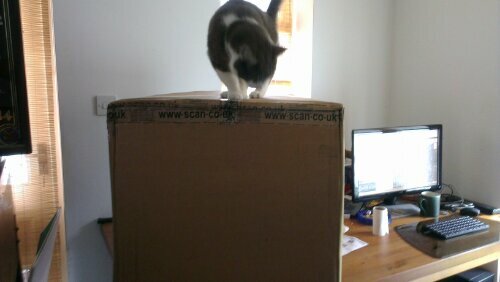 However, I’m now really jealous of Doug’s new PC. I can’t justify building a new one for myself until next year but I’m already planning what elements I might put in it. There are several ways that you can tell if a plant needs water, touching the soil to see if it’s dry or looking to see if the leaves are drooping are just a couple. 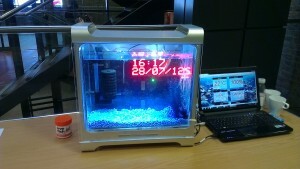 Or you can look at your Plant Monitor and see if it’s flashing! 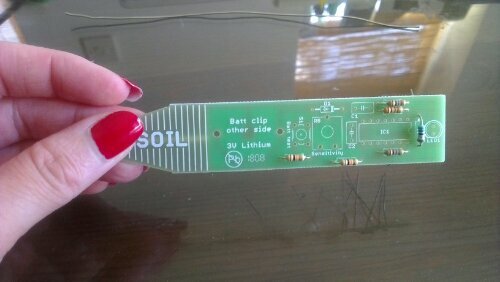 It’s an electronic sensor that can tell if the soil requires moisture and I built one from a kit from Maplin yesterday. 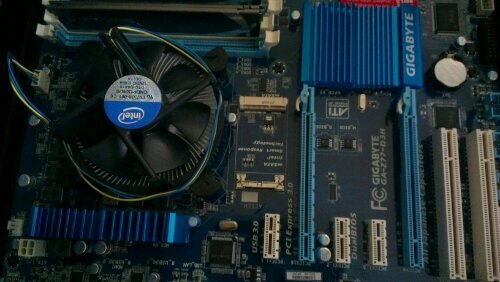 The kit included a circuit board and components which needed to be soldered together. 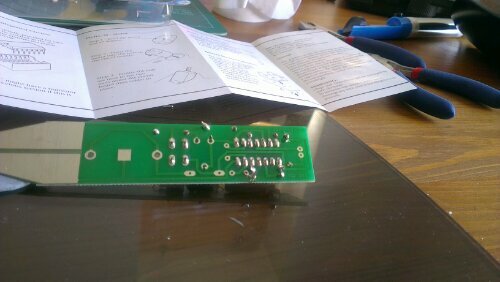 I’ve soldered kits before like the Crab Bot which I would link to here but I can’t find the post where I first mentioned it! D’oh! 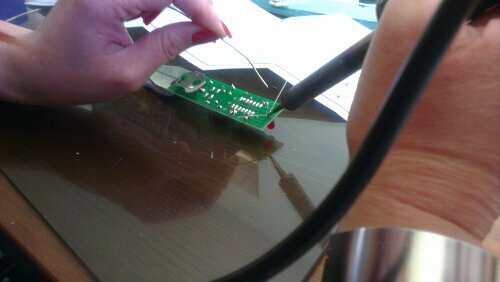 Soldering can appear scary but it really isn’t. Doug taught me how to solder but if you have a HackSpace near you, you may be able to learn there. 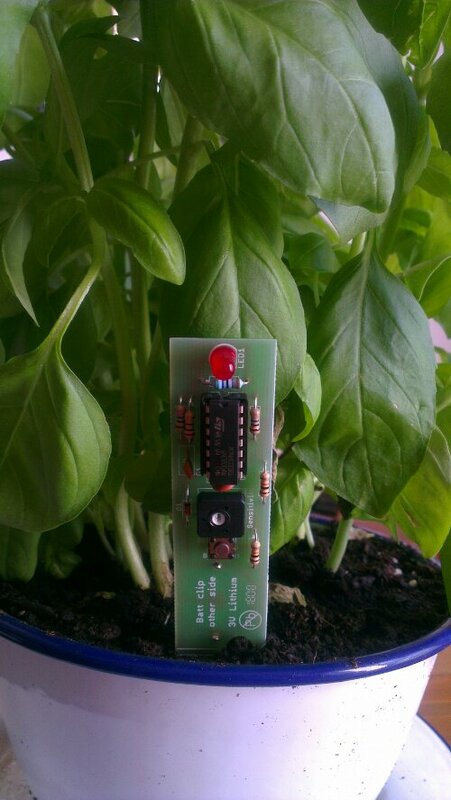 And here’s the Plant Sensor in situ.